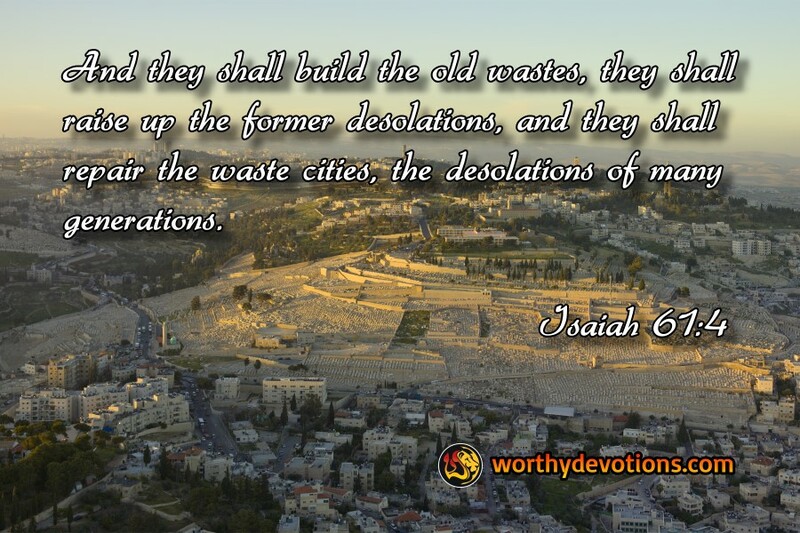 Once the time of Tribulation has passed and Satan is bound, no longer able to stir up trouble, Israel will begin the process of rebuilding. Cities that have been desolate for generations will be rebuilt and re-inhabited. Help will come from nations around the world. Gentiles will travel to Jerusalem and throughout Israel. They will tend flock, dress the vineyards, plough the fields for planting. It is difficult to imagine the excitement and joy that will exist in Israel, after all the centuries of being the target of hatred. I’m reminded of the old song Peace in the Valley.